Framingham/Worcester Commuter Rail customers: Try our Wi-Fi Commuter Rail Connect Test Program! January 30th 2008 will launch a new era for the Internet. Wi-Fi on Trains. Yes Boston is implementing a Wi-Fi experiment on one of it's commuter trains between Worcester and Boston line. The Framingham/Worcestor line is one of the busiest in the system carrying millions of people to and from work every year. Will this be a everyday thing with in the next year ? We can only hope. Boston dose too. This idea was introduced in June 2007 in Boston and the idea took of. The city of Boston has always been known for bad cell service and going Wireless has been a priority for some time now. If this works out we could be seeing Wi-Fi on all public transportation systems around the US within the next couple years. This is the best news for the Internet in some years. Boston has also begun introducing cellular antennas in it's subway tunnels. You will be able to download movies from the new iTunes online movie rental service right on the subway before you know it. Or even live VCast Mobile TV for Verizon customers. Could this also spread to the water ferries and the Steam Ship boats going to Martha's Vineyard and Nantucket. • When boarding, look for posted signs reading, “This coach is participating in a free Wi-Fi Test Program.” At this time, only these vehicles offer Wi-Fi Internet access. • When you see the bandwidth symbol on your screen, click on it and you′ll come to our T Wi-Fi Commuter Rail Connect page. Review the stated terms, and click “I Agree” (or “Connect”) for Internet access. • Signal strengths may vary and fluctuate and service interruptions may occur. • Wi-Fi service works best when utilizing basic Internet browsing, as well as checking and sending e-mails. • Wi-Fi offers limited bandwidth that is shared among all the users aboard your train car. Please remember to be courteous to our fellow Internet users by limiting your use of streaming audio and video. • Please be respectful of other customers and refrain from viewing inappropriate content. As a customer courtesy, we ask that you turn off any audible sound or use headphones. • WI-FI Security and Privacy - Our Commuter Rail Connect Wi-Fi has limited bandwidth that is shared among all users on your train. And, as with any Wi-Fi source, please take extra precautions on what information and transactions you perform. 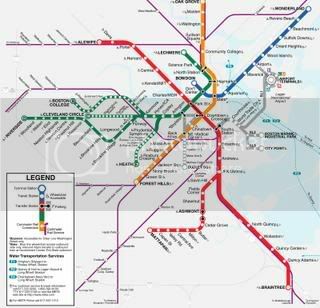 Q: When does the T Wi-Fi Commuter Rail Connect Test Program begin? A: Beginning Wednesday, January 30, commuter rail customers on the Framingham/Worcester line will be able to participate in the free T Wi-Fi Commuter Rail Connect Test Program and access the Internet via their enabled laptop or wireless device on participating coaches. Q: May I ask train personnel for assistance in accessing T Wi-Fi Commuter Rail Connect? 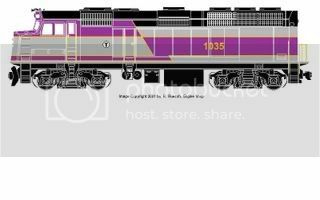 A: MBTA Commuter Rail personnel serve strictly for fare collection, train operations and safety supervision. To get technical support, please call 1-866-470-8697. For all other inquiries, or to provide feedback, please e-mail wifipilot@mbta.com. We strive to respond to all inquiries within three business days. A: Once you see that you are acquiring a wireless signal on your device, click it to connect to the T Wi-Fi Commuter Rail Connect page. If you don′t automatically connect, make sure your laptop or wireless device is Wi-Fi enabled. Some laptops may have different procedures for connecting to a Wi-Fi network. Please consult the Help functions on your computer or the manufacturer′s instructions. Some laptops may have fire walls that prevent connection. Q: How long is this service going to be “tested”?A: As one of the first programs of this type in the nation, we know that we will face challenges throughout the testing period. We ask for your patience as we develop and perfect our onboard technology during the testing phase over the next several months.